When engaging with followers on social media, we always recommend that marketers aim to be as authentic as possible. And one way social marketing professionals can do this is by showing what life’s like behind the scenes at their organization. People are often hungry to see the inner workings of companies and organizations they follow on social—audiences want a peak behind the curtain. An organization’s social audience is likely interested to see what it’s like to work there, and how it operates. Behind the scenes content is a great way to show off positive aspects of your organization’s culture, processes, and working environment. It’s both a content marketing tool and a recruitment tool. Not surprisingly then, Hootsuite’s own social marketing team has found that some of our most popular content shows what it’s like to work at Hootsuite—and how the team operates day to day. In response to this need, the Hootsuite Academy team created a “Day in the Life of a Hootsuite Social Media Manager.” In this video, the team talks about what it’s like to manage social for Hootsuite and offers up tips and best practices for fellow social marketers. This video is the first in a series that offers insights into how an industry leading social media team conducts its business day to day. Hootsuite’s own social marketing operation is a sort of laboratory for new Hootsuite products, features and updates. Our team test drives products and provides valuable feedback to our product team before we release new features and tools to users. For that reason, and because of the deep expertise is all things social, the team is known internally as Customer Zero. Our social marketing team has always adhered to the practice of “drinking our own champagne”—meaning they use Hootsuite’s products in all that they do. If the team didn’t do that, we’d miss out on powerful opportunities to funnel feedback to our developers and product managers. Using our own products is also an important way for us to all become experts on what we’re selling—which is huge benefit to our collective sales process. Building on the concepts of Customer Zero and drinking our own champagne, the Hootsuite Academy Team created a set of videos exploring how the social team uses the dashboard in their day-to-day. A deep dive on product functionality, the video series and is for anyone curious about how our internal social media experts set up their dashboards. The first video introduces us to engagement specialist Nick Martin, and how he uses the platform to interact with Hootsuite’s millions of social media followers. The second video follows how social marketing specialist Christine Colling creates, schedules, and tracks the dozens of posts Hootsuite publishes every day across multiple networks. In the third video, we again go to Nick Martin to learn how the team executes on Hootsuite’s social listening and monitoring strategies. 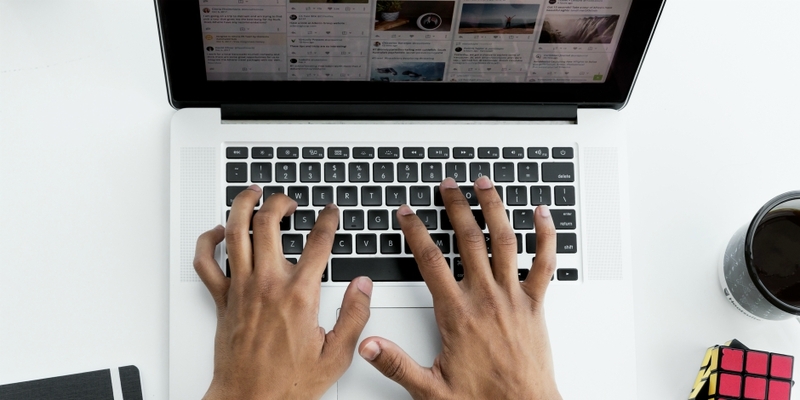 If you’d like to learn how to use Hootsuite like a pro yourself, take our free platform training course from Hootsuite Academy. Ryan leads Hootsuite's Online Education team, which produces educational content teaching people how to use social media to accomplish real business objectives. Find him on LinkedIn.